Zver giving her lecture. Chair: Education Minister Illugi Gunnarsson. Photo: Olafur Engilbertsson. On 19 December 1991, Iceland became the first Western country to recognise independent Slovenia which had formally seceded from Yugoslavia on 25 June. Previously, newly liberated countries like Ukraine and Lithuania had recognised the new state. 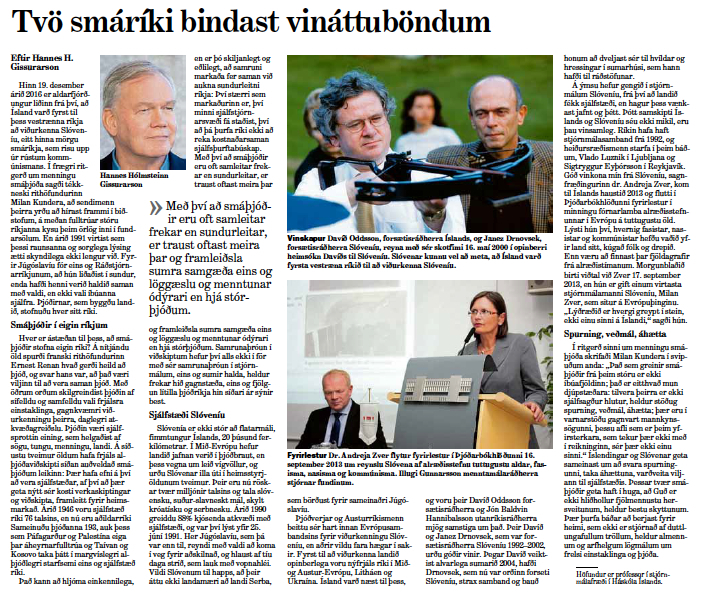 On the 25th anniversary of Iceland’s recognition of Slovenia, 19 December 2016, RNH Academic Director Professor Hannes H. Gissurarson published an article in Morgunbladid, reflecting on small states and nations. He agreed with the definition by Ernest Renan of a nation: a collective united by its will to be a nation. On this definition, both Icelanders and Slovenians could be regarded as nations. Professor Gissurarson also pointed out that economic integration facilitated the formation of small states, because they could benefit from the international division of labour and free trade. The larger the markets were, the smaller the political units could be. 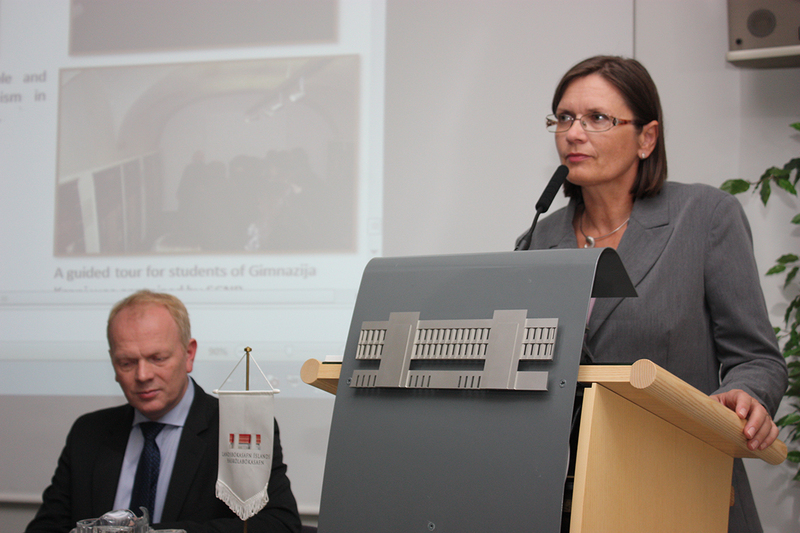 Slovenian historian Dr. Andreja Zver gave a lecture at an RNH event in Iceland 16 September 2013 on the Slovenian experience of 20th century totalitarianism, as the country had been controlled by fascists, nazis and communists one after another. Still, mass graves from totalitarian times are being discovered in the country. Zver is married to one of the best-known politicians of Slovenia, former Education Minister Milan Zver, an MEP. Professor Gissurarson’s article forms a part of the joint RNH-ACRE project on “Europe of the Victims”.